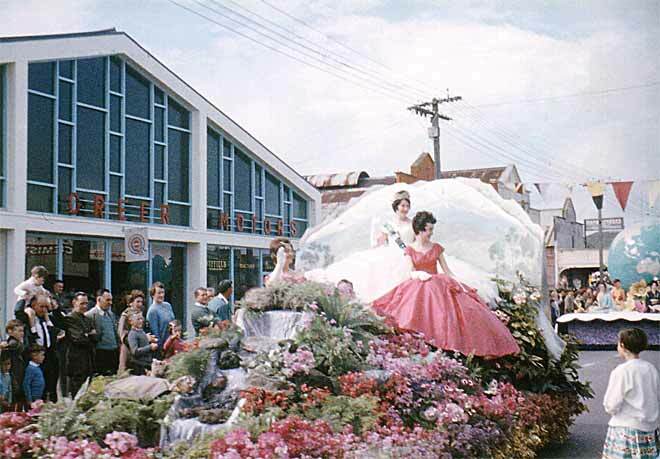 The Hastings Blossom Festival was started in 1950 to attract visitors, and to show up its rival, the nearby city of Napier. It celebrates the beginning of the fruit-growing season. The highlight is the parade of floats decorated with real or artificial blossoms. In 1957 a Queen Carnival was held. The Blossom Queen rode on one of the floats.